24th January 2017 - Paul Stanley-the greatest living guitar-playing frontman? Paul Stanley of KISS has just turned 65 as I type this, and even in 2017 – fully 44 years after the band he co-founded with Gene Simmons first got together – he is still the ringmaster of the self-proclaimed ‘hottest band in the world’. It’s complete hyperbole, all right, but to millions of fans that very catchphrase stands up to close scrutiny – and yet few bands have been ridiculed, patronised and sneered at more than KISS during the Classic Rock era. Paul Stanley’s abilities or otherwise are lumped right in with that critique, and as with many snooty observations about the band that I’ve read and heard, it is totally misplaced. 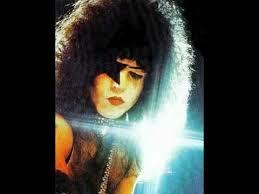 To me, Paul Stanley is the greatest living exponent of the guitar-wielding classic rock frontman that we have. KISS has been anathema to a great swathe of the world since its inception in 1973. The New York rock scene of the early 70’s scorned KISS right from the get go; the band didn’t hang out at Max’s Kansas City or CBGB’s or any of the ‘cool’ places that budding musicians were supposed to congregate. They weren’t thought of as being as earnest as the New York Dolls were. KISS instead spent months behind closed doors in 1973 perfecting their stage act and set list with relentless rehearsals – something of a contrast to the Stones-esque sloppiness that the Dolls portrayed, as though they’d just wandered off the street onto the stage wearing chintzy colourful rags and struck up a jam on the spot. That would never do for KISS, neither in sound nor in look. We all know now what they developed in terms of an iconic image, and it’s been discussed more times than I care to remember. What interests me here is how Paul Stanley emerged over a short space of time as a quite sensational frontman…whilst having a rhythm guitar around his neck to occupy him too...and not just to dangle there as a convenient stage prop either. Given that KISS came into being just after the British Invasion of the late 60’s and the softer, folksier artists that dominated the beginning of 70’s Rock music, Stanley didn’t have many frames of reference as to how to become the frontman that we know – perhaps one obvious fellow was the late great Steve Marriot of Small Faces and Humble Pie. I don’t think there’s much doubt that Stanley derived much of the ‘evangelical’ approach to his on stage persona from Marriot. And let’s not forget at this point just how much all 4 KISS members revered English rock bands over American ones – they were all unashamed disciples of Beatles, Cream, The Who, Yardbirds, Zeppelin etc. Marriot was also somewhat unique in being a guitar playing bandleader – so many bands had straightforward ‘lead singers’ rather than those who doubled up on guitar or bass - and his qualities no doubt rubbed off on Stanley as he began to develop his craft. I think we have to mention Slade’s Noddy Holder at this point too. Noddy had the ability to rabble-rouse an audience (‘Get Down And Get With It’ is testament to that alone) and the famous mirrored stage hat he wore which shone shards of light in all directions from the stage were a clear forerunner of Stanley’s ‘cracked mirror’ Ibanez guitars that emerged in 1979. A clear tip of the…er…hat, there. Influences and points of reference are one thing – actually getting up there and being true to yourself and your own personality is something else when you are the on stage spokesman for a mysterious-looking group wearing black and silver outfits replete with platform boots and Clown White plastered all over the old fizzog. I heard predominantly a LOT of live albums when my 2 older brothers first introduced me to Rock music. It was either Purple’s ‘Made In Europe’ with Coverdale going ‘GAWD BLESS YA! WOOO! HERE’S A SONG FOR YA!’ or Rush not saying a fat lot on ‘All The World’s A Stage’ or Lynott being cheeky on ‘Live & Dangerous’. But there was something almost ‘other-worldly’ about hearing “KISS Alive!” Side Three for the first time and encountering Paul’s long stage rap during the ‘100,000 Years’ drum solo. When I listen back to it now, two things strike me; firstly, how quaint it almost sounds in the context of what stagecraft has become in subsequent years. Secondly, it’s amazing to think that, in those days (1975), audiences typically did NOT stand during live gigs. The moshpit was not even close to coming into existence, and bands had to work incredibly hard to get crowds on their feet. Indeed, KISS themselves discovered as they toured the world in the late 70’s that some countries’ governments actively prevented those in attendance from getting out of their seat – specifically Japan. But back to Stanley – his crowd control during that ‘100,000 Years’ rap was just another reason for me to be totally entranced by the band. I’d spent 3 weeks before listening just to Side One of ‘Alive!’ and loving the first 5 tracks so much, I was terrified that the other 3 sides couldn’t live up to the energy of that opening salvo of tunes. Stanley, by this time, had perfected a stage drawl that suited his Starchild alter ego – a kind of New York meets Deep South patter that demanded incessantly for those in attendance to join in…and those audiences were all swept along with his non-stop energy (along with the energy of his 3 band mates) to make KISS one of the ultimate live draws as Arena Rock developed in the 70’s. Zeppelin sold way more tickets than them, but who could match Zeppelin, really? As KISS got bigger and bigger during the remaining 70’s years, Stanley’s skills refined and improved still further. As did his rhythm guitar playing too. When you watch him on the ’77 Love Gun tour, singing the set opener ‘I Stole Your Love’ and deftly playing the double-stop riff as he belts out the chorus is glorious. By this stage he was really gaining control of his craft – and even as Peter Criss’ drumming deteriorated on the Dynasty Tour that followed 2 years later, Stanley’s ability as frontman largely covered up for inadequacies elsewhere on the sprawling stage set (videos from Largo ‘79 show this up very clearly to me). When the greasepaint was ditched by KISS in 1983 (and thus the platform boots) it actually benefitted Stanley more in terms of the way he controlled punters. As Bruce Kulick once put it, the stage truly became his ‘playground’ and he used every square inch of the stage to flaunt himself stupid. The Eighties were also a time where Stanley’s vocal range expanded and improved beyond a point where even he probably imagined he could go prior to that. The Crazy Nights album from 1987 is probably the best collection of tunes that showcased his increasing confidence in hitting higher notes, at a time where many ‘hair metal’ rock singers felt the need to stretch their larynxes to the very limit. Where Stanley differed to many of his peers is that, during that time, he could pull off these sorts of high-pitched vocal performances every night on tour without blowing his voice out. Others could show great vocal range on record, but lacked the consistency to deliver those sorts of performances over a cross-country trek. These days, Stanley’s vocals are not what they were. We know it, he knows it and by jiminy do the chomping nutters on Internet message boards know it. It’s only natural that a man in his 60’s struggles to hit a top C with regularity, and perhaps his years of pushing himself to sing those sorts of notes on tunes like Crazy Crazy Nights and Take It Off were always going to take their toll somewhere down the line. Add to that the fact that he pulled the old platforms back on for the Reunion Tour in 1996 and has barely played live without them since adds extra pressure on a body that has become more and more bionic over time (knee, hip, you name it, it’s needed work). But you can only marvel at what he can still do these days as flashbombs go off all around him in a stage show that’s even more bombastic now than it was when KISS where purportedly the most popular band in America (so said the 1977 Gallup poll) as he still has control of all the madness going off around him and still draws us in as an audience. When the band tours the UK in May this year (possibly the last time we’ll see them…but then I said that after the Psycho Circus debacle with Frehley & Criss in 1999) he will still command respect from every paying punter from the moment he struts out in his 7-inch heels. Maybe not skipping out the way he did 30 years ago and with a voice that shows signs of wear and tear. But when he screams ‘Lemme hear ya!” to all corners of the Barclaycard Arena, he’ll get a thunderous response. As he should. Yes we’ve seen Mick Jagger, Freddie Mercury, Dave Lee Roth, Steven Tyler, David Coverdale and others write the book on how to front a rock and roll show with just a microphone for company, but Paul Stanley should get to write his own section on how to be just as effective and engaging as a guitarist/vocalist/frontman. Happy birthday Paul – and when retirement comes, good grief you’ll have earned it.